The Indian bride defies all stereotypes and her style and personality isn’t limited to the coy and conservative anymore. In fact the Indian bride is the perfect combination of brash and coy, outgoing and traditional and that is exactly what reflects in her sartorial choices. Having made this point, it is important to reiterate that the Indian bride puts much care in to putting together a bridal trousseau that reflects her fashion sensibilities and her personality and this is exactly why we have put together the best of trends and the must haves of bridal trousseau items for the Indian bride. Read further to know more. 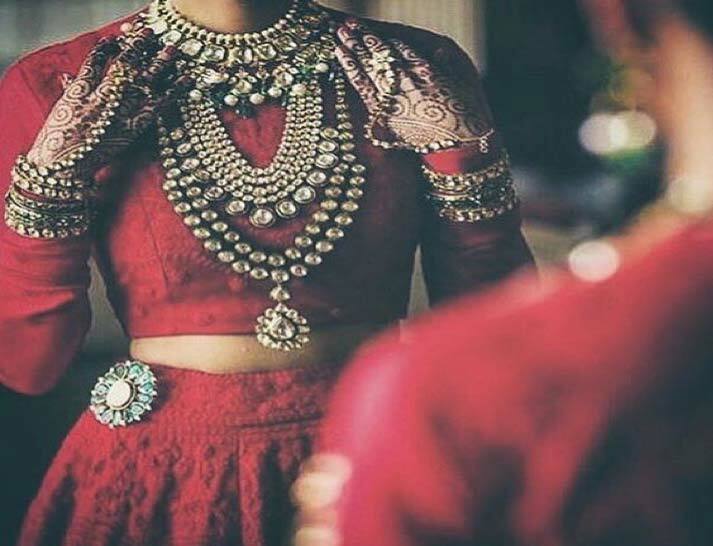 Jewelry and accessories are an important part of the bridal trousseau of an Indian bride and this includes traditional gold and silver sets and contemporary diamond and platinum pieces. The Jadau Kundan set is the highlight of bridal jewelry and an Indian bride is almost always bedecked in these elaborate jewelry sets. 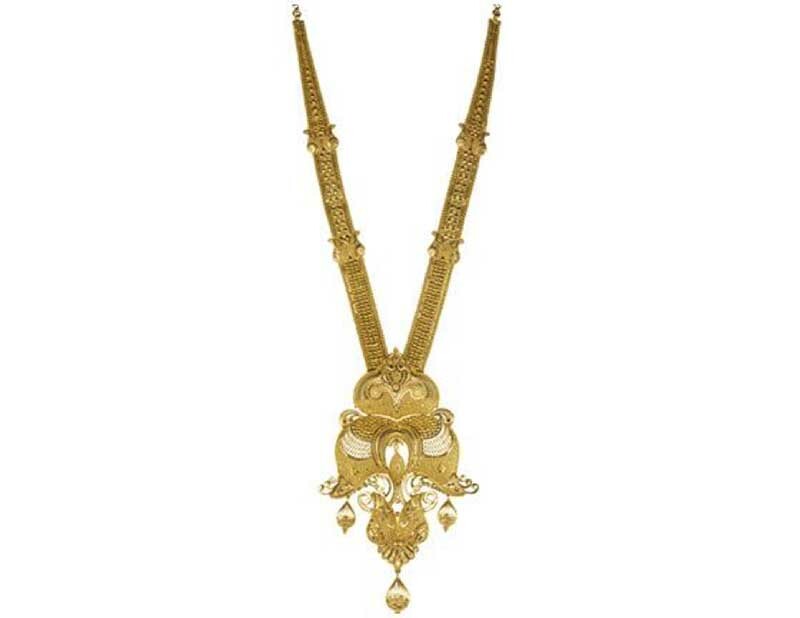 The Jadau Kundan set is best sourced from Jaipur or Hyderabad where skilled artisans put painstaking amounts of time in to creating elaborate bridal wear jewelry. The Sita Haar is a relatively simple traditional neckpiece that does not come with other matching accessories unlike the Jadau Kundan set. 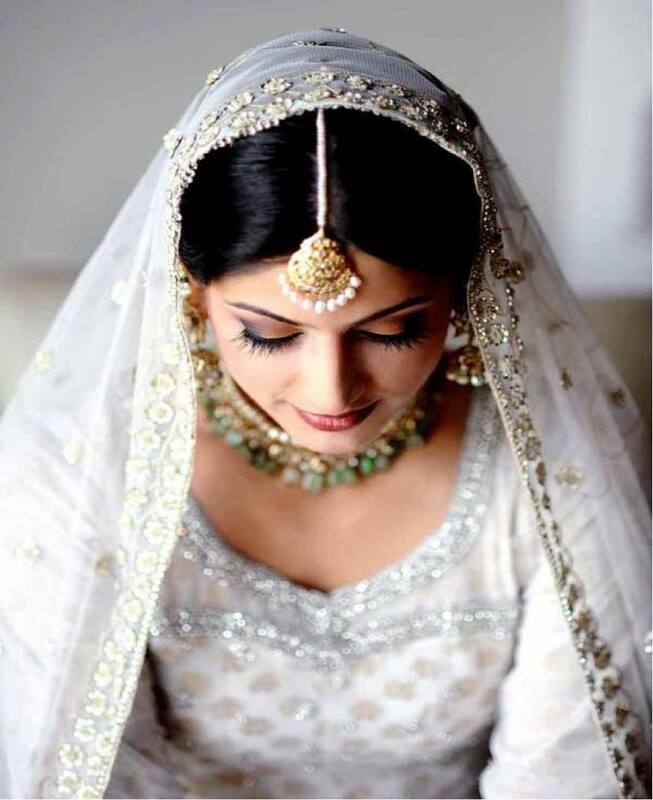 The Sita Haar is for those brides who prefer a subtle yet elegant look. Stunning choker sets are the way to go if one is looking bridal jewelry minus the clutter. A great choker set should come with matching jhumka earrings and a exquisite Mang Tika. The choker set work best when paired with exquisite embellished and embroidered lehenga choli ensemble for the bride. 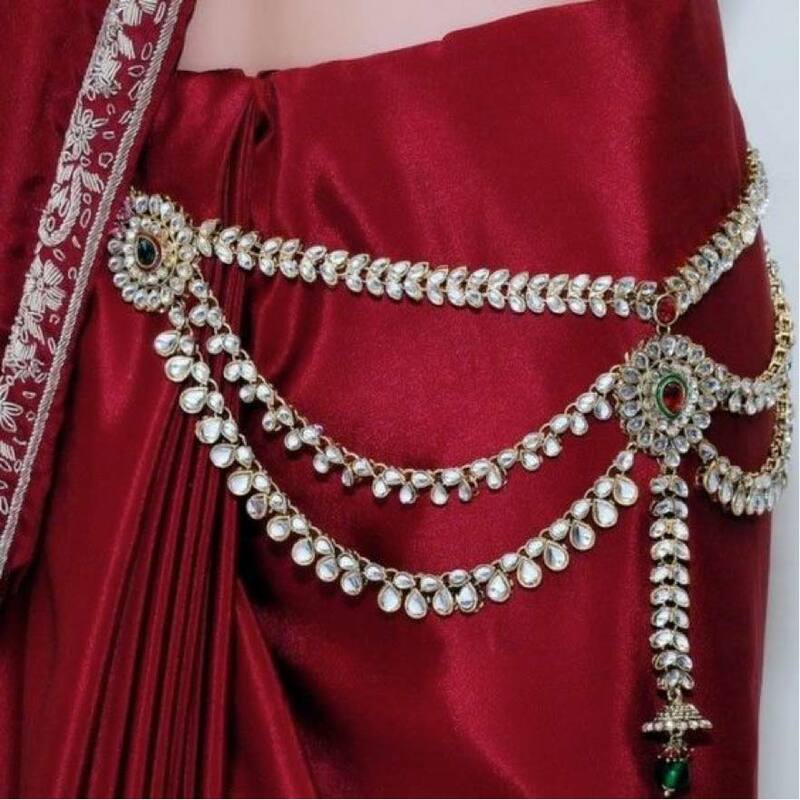 The Kamarbandh is a bejeweled chainlike belt worn across the waist by many Indian brides. This beautiful accessory serves the purpose of accessorizing the bare waist area when wearing a bridal saree or lehenga. The Kamarbandh is fashioned from precious and semi precious metals that form the chain that is incrusted with precious and semi precious stones. The bajubandh is a bracelet for the upper arm which is a must have for Indian bride. The beautiful bracelets are often created from precious and semi precious metals and encrusted with beautiful, perferably colored stones. The bajubandh is a traditional accessorie that is mainly worn by Indian brides. The Indian wedding is incomplete without the bride looking resplendent in beautiful traditional bridal wear ensembles. Read further to know more about the latest trends for bridal wear. 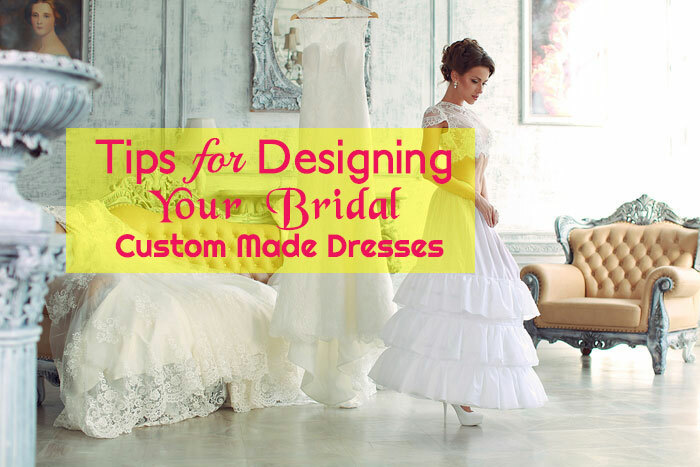 Be informed and know exactly what to shop for when deciding upon your bridal trousseau. The Ombre shade wedding saree is trending in a big way this year and is great bridal look. These designer sarees are dual or triple shaded where colors seamlessly merge in to each other. The colors are mostly pastel or vibrant shades. A pink and crimson ombre saree embellished with semi precious stones and fine embroidery would be the perfect bridal wear saree to add to your wedding trousseau. 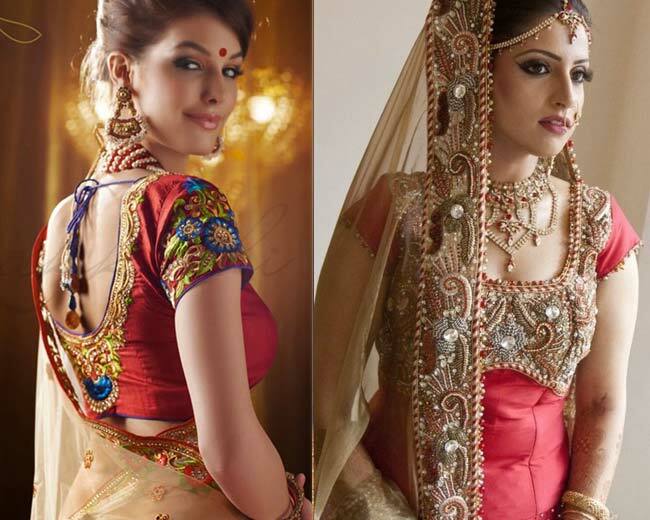 Many young Indian women prefer the lehenga for bridal wear as opposed to the saree. Read further to know the latest lehenga trends to pick out the best lehenga for your bridal trousseau. 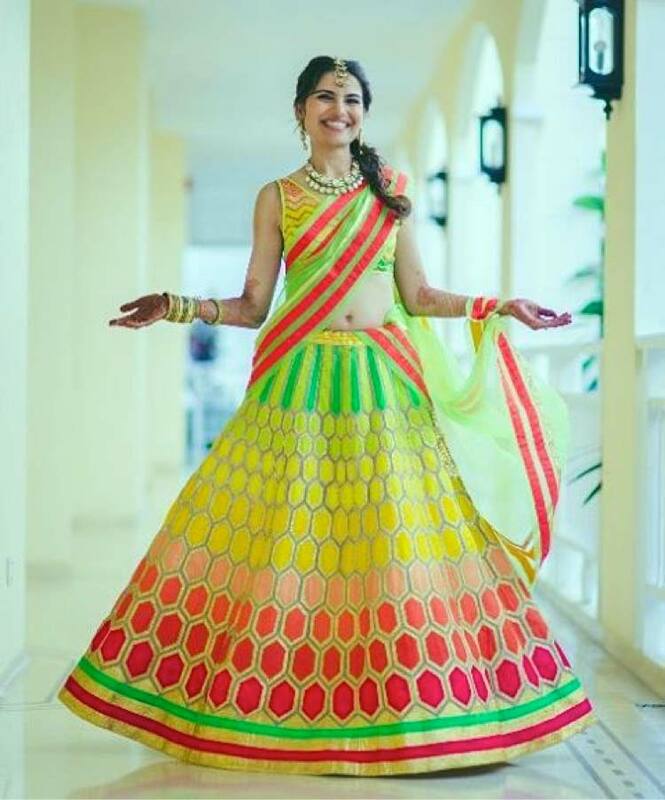 Your trousseau just got a whole lot of color with the neon lehenga trend. Lehengas in bright and vibrant neon shades like pink, red, orange and blue are all the rage this year with Indian brides. These ethnic ensembles with a contemporary twist are exactly what you are looking for if you are expecting a song and dance spectacle on your sangeet day. Floral print lehengas are also trending in a big way for morning wear and are the perfect ultra feminine style statement to add to your bridal trousseau. These floral lehengas are also another good option for morning wear wedding ceremonies and festivities like the sangeet ceremony. Pastel shade lehengas are another great option for morning events during your wedding. Wear these pastel shade ensembles for your mehendi ceremony. The most sought after colors amongst these pastel shade lehengas range from canary yellow to elegant cream and ivory. Velvet Lehengas have been in trend for some time now and according to fashion pundits these high sheen fabrics will continue to be sought out for bridal wear ensembles. Velvet lehengas are perfect for evening wear and a velvet lehenga for your wedding reception is clearly the perfect choice. It is a known fact that fashion is ever evolving and the same applies for ethnic bridal wear. Indian fashion designers are exclusively catering to the new age bride with bridal wear creations that combine the best of Indian and western fashion and trends. Read further to know more. 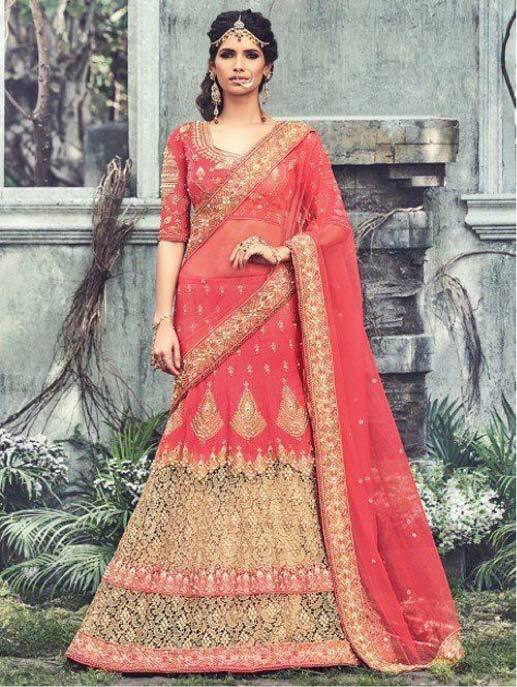 The lehenga saree is a new age bridal wear creation that perfectly combines the beauty and charm of the saree with the unmatched appeal of the lehenga. The bridal lehenga saree is exquisitely embroidered in gold, silver and jewel tones and is also embellished with semi precious stones, sequins and even mirror work for added appeal. The sheer fabric of the pallu perfectly completes this outfit. The Anarkali gown is an exquisite contemporary creation that takes the anarkali silhouette to create an exquisite bridal gown. The Anarkali gown is fitted at the bust and flares out downwards. The umbrella silhouette creates and exquisite gown that is trending as a bridal wear garment in a big way. The Anarkali gown is exquisitely embroidered and embellished as is the norm with Indian bridal wear. Zari, resham and zardosi are used to embroider the gown while embellishments in form semi precious stones, sequins and cut glass work are also used to add further appeal to this outfit. The Anarkali gown is the perfect bridal gown for an Indian girl. Author Bio: Rahul Singh is an avid blogger with a keen interest in fashion and celebrity news. 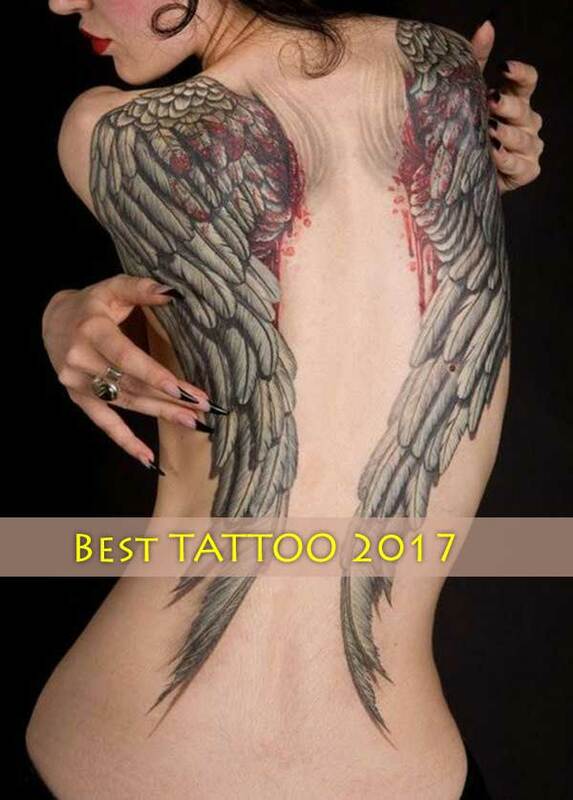 He also has other less superficial hobbies like science fiction and arts.